YouTube is a great resource for us to enjoy amazing movies, TV shows, but sometimes you may need to download them to a computer or mobile devices. You might also wanna watch these fantastic YouTube videos on the go or burn them to a DVD for archiving, or convert the audio to an MP3 for entertainment. Finding a great YouTube downloader and conversion tool would be a good start. Well, Any Video Converter Freeware is such an awesome Free YouTube Video Downloader and Converter. 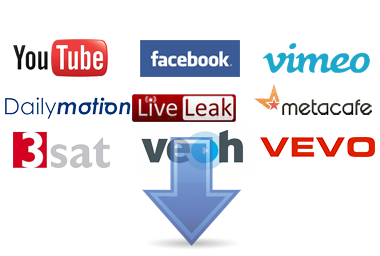 As a free YouTube video downloader and converter, Any Video Converter Free allows you to download online videos from 100+ sites including YouTube, Facebook, Dailymotion, Vimeo, etc, and you are also allowed to convert those downloaded YouTube videos to other video format or audio format such as .mp3. aTube Catcher is also an powerful YouTube conversion tool that can catch any video downloads except for YouTube before converting these videos to your desired format. ✔ Download and join multiple videos as a new one. 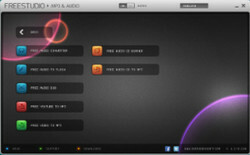 Freemake Video Converter is another useful YouTube video converter, which features an attractive design and enables you to convert your downloaded YouTube videos into more than 200 formats - including AVI, MP4, WKV, WMV, DV, RM, QT, TS and MTS - and you can choose to rip and convert audio to MP3. ✔ Cut video parts which you don’t need before conversion. Those three above-mentioned YouTube Video converter and downloader enable you to download and convert YouTube videos to any video or audio format . Each of them has its own advantages and disadvantages. But if you wanna choose a comprehensive and efficient Videos conversion tool, Any Video Converter Freeware is highly recommended.